Hosting of online research tools and domain-specific virtual laboratories. 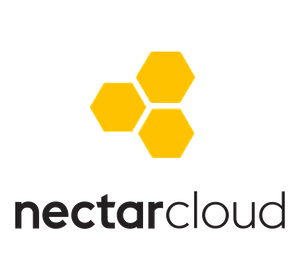 The Nectar Research Cloud can be accessed by any researcher from any organisation that participates in the Australian Access Federation (AAF). All Australian universities are members of AAF. Project allocations on the Intersect node are authorised by participating member organisations. From 1 July 2016 the NSW node of the Nectar Research Computing Cloud adopted a consumption funding model to sustain its future in the national eResearch landscape. This means your organisation needs to have a TimePlan subscription with Intersect to fund resource consumption; all current Intersect members have some arrangement in place. Every user account in the Nectar research cloud is allocated a small amount of computing resource – a maximum of two virtual server instances, totalling no more than two cores – with which they can build a basic VM that will have around the same power as a desktop computer. Personal trial instances expire after 4000 CPU hours, which is about three months of continuous use. They are intended for limited testing purposes and are not suitable for production servers. In order to obtain servers to be used for production, you’ll need to apply for a project allocation. Project allocations can be much larger than personal trials and can last for much longer . Within a project allocation, you may build as many instances as your allocated resources allow and these instances will persist for the life of the project. Instances built within project allocations can also be shared among other users. They are designed for collaborative research. Local policies apply at each node for resource allocation. In NSW, project allocations must receive some combination of national merit approval, NSW node approval and participating member approval, depending on the nature of the application. Project resources are consumed as ‘flavours’ of virtual computing. There are four classes; Balanced (m3), RAM optimised (r3), CPU optimised (c3) and Tiny (t3). Full information is available on the Nectar Flavours page of the Nectar knowledgebase. Create multiple virtual machines with up to 64 virtual CPUs. Supported Linux operating system distributions include Centos, Ubuntu, Fedora and Scientific Linux. Researchers can directly access seven national network nodes for additional scale or data proximity. Physical hardware in cloud computing can be susceptible to power outages, scheduled downtime and other events. Although these tend to be rare events, they may affect your project allocations and trial allocations. Nectar does allow you to select a particular physical availability zone to host your VM, but each zone is susceptible to occasional temporary downtime. If your project requires a server with uninterrupted uptime, you could take measures to ensure that a power outage does not affect it, such as a parallel instance running the same processes hosted at a different node. If your project does not require constant uptime, it may be sufficient to simply restart machine instances when service is restored. Nectar routinely communicates to users via email service information, including outages and scheduled maintenance and you can follow @intersectops on Twitter for real time information. Multiple alternative Intersect CloudTime options exist that offer service level agreements, uptime guarantees, commercial grade services, and global scale. Nectar Cloud is perfect to get started with, but it’s likely you’ll outgrow it. Intersect is here for you when you do. OwnTime Cloud computing offers access to high performance virtual hardware for computer intensive applications. LocalTime offers research computing cloud management as a service uniquely combined with discretionary on-premise local hardware investment. 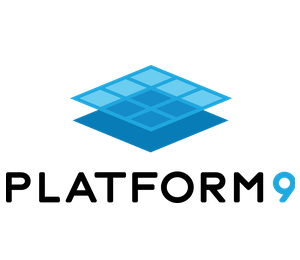 Manage VMs, Containers or Serverless Functions on ANY infrastructure, on-premises or in public clouds. Need advice about getting started with Nectar or applying for resources? Check out the Nectar Research Cloud support page or email time@intersect.org.au for assistance. There’s also a quick Getting Started with Nectar Cloud howto article in Help.intersect.org.au.